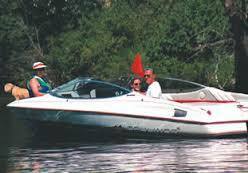 Illinois Senate Bill 3434 Operating Under the Influence (OUI): The bill allows for the seizure of a watercraft used in the commission of certain offenses related to operating under the influence. The new rules bring penalties for boating under the influence more in line with those for operating a motor vehicle while impaired by drugs or alcohol. 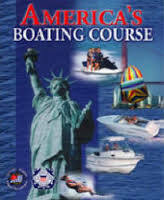 Illinois Senate Bill 3433 Mandatory Boater's Education: The Bill requires all persons born after Jan. 1, 1998 to take and pass a boating safety course validated by the Illinois Department of Natural Resources and hold a valid boating safety certificate before they can operate a motorboat with an engine over 10 horsepower. Illinois Senate Bill 2731 New Skier Tow Rules: The Bill mandates that the operator of any watercraft that is towing a person, such as a water skier or tuber, must display a bright orange flag measuring not less than 12 inches per side. The flag must be displayed from the time the person to be towed leaves the boat until that person returns to the boat at the conclusion of the activity.